DIY Garden Markers. Donut S’mores Pops. 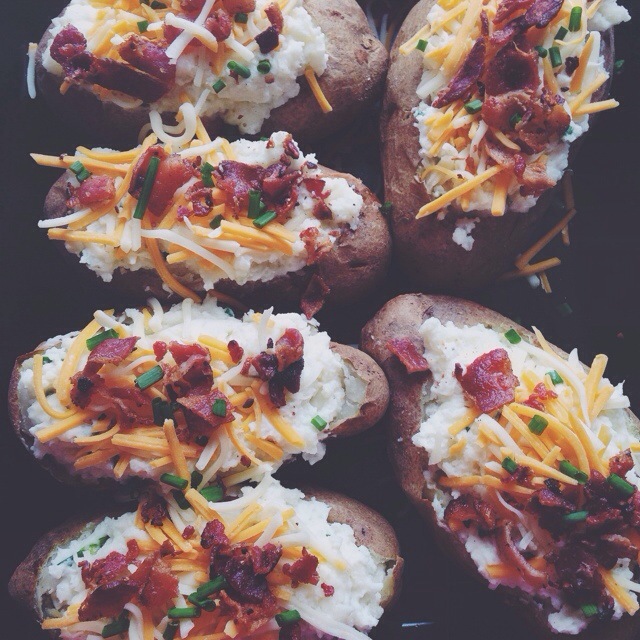 4 Responses to "Loaded Twice Baked Potatoes." This sounds phenomenal! For some reason, I’ve never thought to scoop out the potato and make a mash out of it! But I’m DEFINITELY going to be doing that from here on out! Thanks I’m drooling at my desk at 9am!